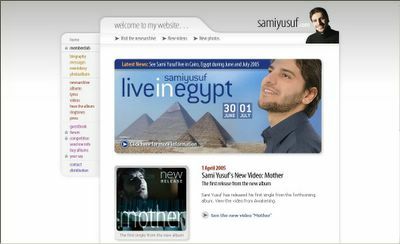 My beloved friend, Hijabi Princess recently sent me the link on Sami Yusuf, a brilliant singer. He mainly sings on the Glory and Praise of God in English and Arabic. You can hear his song sample here.